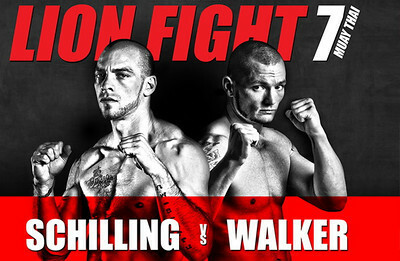 For me personally Lion Fight 7 exceeded my expectations. And in truth Lion Fight exceeded them because for me on paper the matchups to be frank looked a bit mismatched in terms of experience. Despite or maybe because of it the night proved to be exciting and more than one shock in the outcome occurred on the way to the event’s end. In turn respect is due to the late fight assignments fighters took and especially to those who traveled away from home and their comfort zone to make the fights. Without any further caveats it was a good card and the fights spoke for themselves. Here’s how I saw it. Coke Chunhawat now training with the team at Woodenman Muay Thai looked sharp and brought beautiful timing. To me at least it was apparent Coke was by far the harder hitting of the two. Coke landed multiple hard right kicks and was dominant in the clinch. With few and increasingly fewer counters coming back from Morilla Coke wins by knee to the body stoppage. Andy Singh defeats Anthony Castrejon via Unanimous Decision and wins the WBC Muay Thai 118lb National Title. It was immediately apparent that Andy Singh at fight time was visibly the smaller fighter of the two. Early on it looked like Anthony Castrejon was going to win with well-timed shots that physically moved Singh when they connected. Andy Singh however grew busier and built up a steady lead in points. A good win from Andy Singh of the Pinpoint Muay Thai camp from the east coast. Tiffany Van Soest defeats Jeri Sitzes via Unanimous Decision and wins the WBC Muay Thai International Title. Early on both fighters seem to be feeling each other out without one specifically edging the other. By the second round Sitzes seem to press more and gained a slight margin. Round 3 moving on Tiffany began pressing and gaining a margin on Sitzes. The keys to me was Van Soest’s brilliantly timed strikes and movement.Van Soest connected well and often and oftentimes received very little offense in return. Gregory Choplin defeats Joseph Valtellini via Unanimous Decision. Joseph Valtellini came in with a comparatively modest fight record of 6-0 with 6 KOs. Against Gregroy Choplin’s 60+ fight record filled with good competition and notable wins it was obvious Valtellini was the underdog. Valtellini fought hard and fought well and actually appeared to have hurt Choplin. En route to a win Choplin inflicted an ugly knot over Valtellini’s eye. To Valltellini’s credit he fought on and was always a live opponent. I also feel there should be some credit due to Valtellini’s corner who actually knew how to properly use an end swell. Despite being a live opponent Choplin leaves the ring with a deserved unanimous decision. Easily this was the shock of the night. Eddie met Joe in the center of the ring but was easily outscored by Schilling through the majority of the fight. Schilling landed knees and good scoring kicks. With both opponents up against the ropes in round 2 it certainly looked as if Schilling was going to close the deal and add yet another win onto his fight resume when Walker found his range between Joe’s arms and connected with a short right that created the fight ending KO. ~ by fatsoking on October 14, 2012. Nice report, Mismatched for sure, but Muaythai Karma has a way of proving its alive and well. Respectfully, as I can make it anyway, Lion Fight has a new Team member with matching. And it’s kind of bad. The fact that a 6-0 fighter made a fight of it anyway against a man with 60 +_fights is impressive. But the other side of it is I know the matchmaking sometimes even the purse isn’t always in fighters’ and their team’s control. If karma is something I truly believed in, and as an Asian person I tell you 100% that I don’t, then a lot of people who lie, pause on paying purses, expenses, and insurance would be gone from promoting wholly and yet many of them are still here.